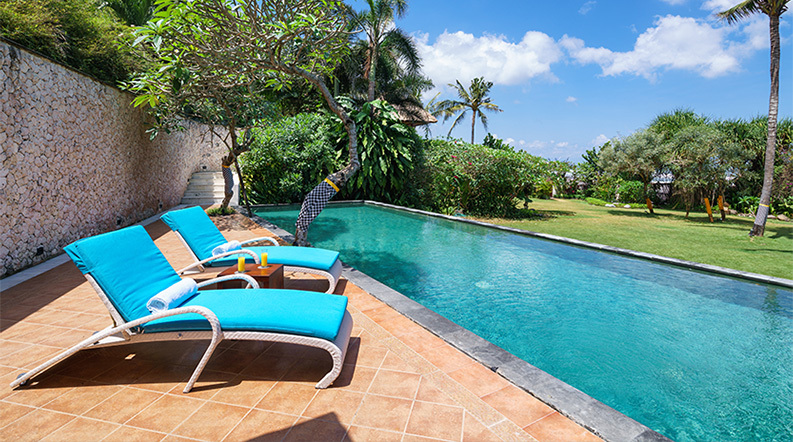 Andaru Tabanan is a three-bedroom luxury villa conveniently located in front of Kelating Beach and near Tanah Lot Temple in the village of Kelating in west Bali. 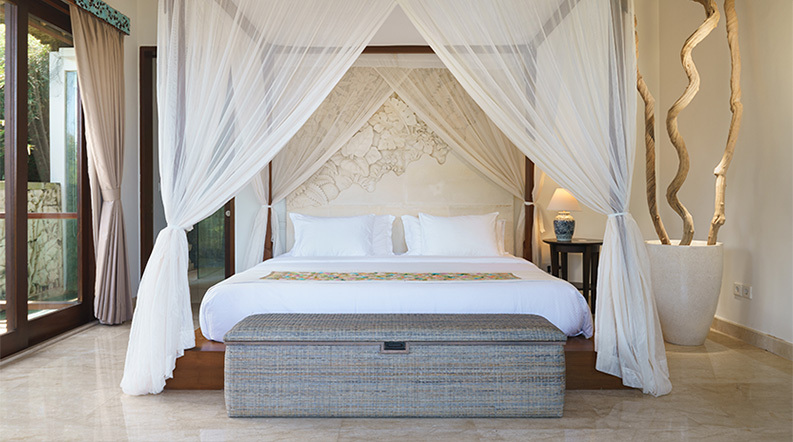 Andaru Tabanan offers three separate pavilions with a comfortably furnished living pavilion, poolside sun deck, a big gazebo, wireless internet connection and high-class facilities, all built around a scenic garden space filled with the heady scent of the trees and flowers native to Bali. With every moment one of sophistication and every need graciously met, Andaru Tabanan delivers the ultimate Balinese getaway. The traditional yet minimalist interiors of the master bedrooms promote the ultimate in relaxation while offering all the luxuries you need to set you up for your day, and a haven to come home to in the evening to chill out in great company. With Kelating Beach in view, relax on the pavilion pool deck and take in the breath taking ocean vista, sink into a comfortable sun bed for some sun worship, and enjoy a daily secluded swim in our beautiful private swimming pool. The pool area is the ideal venue for evening gatherings, thanks to the carefully designed mood lighting glistening off the pool’s surface. Andaru Tabanan features a well-stocked professional kitchen adjacent to the living pavilion, yet discretely out of sight. 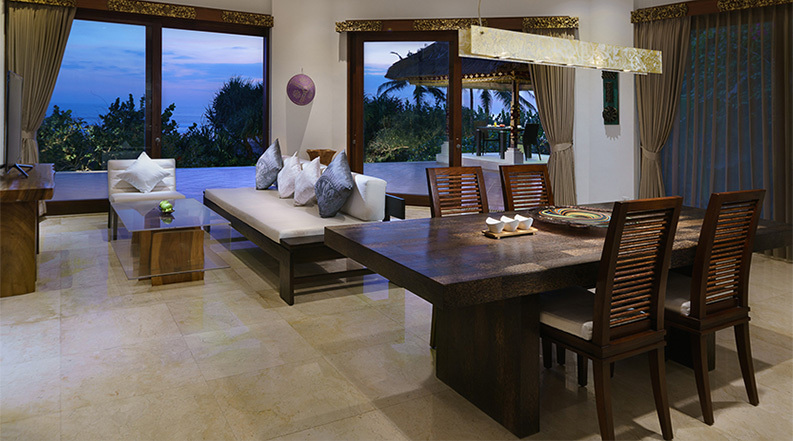 A private chef and villa staff are on hand to prepare your food to order. Enjoy with our compliments an extensive breakfast menu on the houi; also have a wide choice of lunch and dinner meal options available at reasonable prices. Simply let our staff knows your meal orders in advance so that our chef can fully prepare your meals to order. 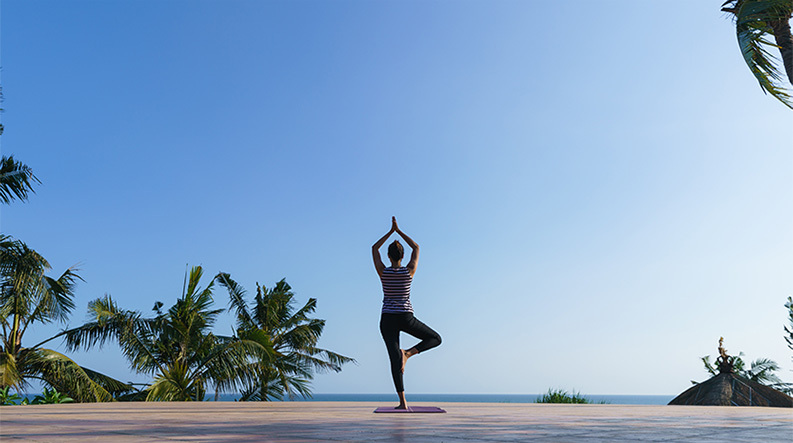 With the heady view of the beach from the outdoor deck, why not try a little yoga in the sun, and soak in the best that nature has to offer. Or if parties are more your thing, the outdoor deck, with its spectacular ocean view, is perfect for night-time group gatherings.